What is probate and where did it come from? “Probate” is the legal process that deals with the assets and debts left behind after someone dies. Probate court is where probate is administered. The Probate adjudicates the validity of wills, enforces the provisions within a valid will (by issuing the grant of probate), makes sure creditors are notified and paid, provides for the equitable distribution of the assets of persons who die intestate (without a valid will), and prevents executors and administrators of estates from being dishonest and ensures they are doing their job. 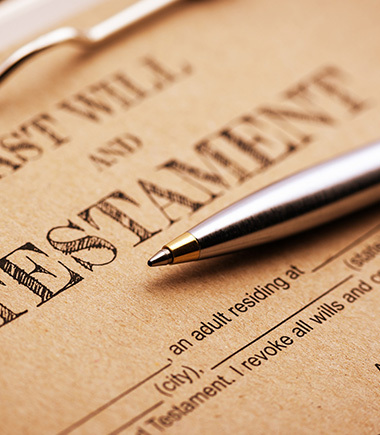 Proving the validity of a will, if one exists, to make sure it is real. Choosing an estate administrator, executor, or representative, if one has not been named by the deceased. Paying all applicable estate taxes and other debts. Identifying all heirs and other relatives that the deceased may or may not have mentioned in a will. Believe it or not, the issue of people passing away and the ensuing turmoil of family, church and government figuring out who gets what has been around a while. The laws and jurisdictions of Probate: Feudalism, Church vs. state, a long cloudy history of who gets to be in charge of settling the deceased’s accounts and dividing his worldly possessions (encompassing paying the bills transferring of property) has evolved for a nearly a thousand years. Starting with William the Conqueror and The Norman Conquest, in 1066 and the next several decades, (when he basically stole all the land owned by the uncooperative for himself and gave it away to his buddies). through this evolution, Local Governments have gradually taken charge of the settling the business of the deceased. This entry was posted on Sunday, February 11th, 2018 at 2:45 pm	and is filed under Sacramento Short Sale and Sacramento Foreclosure News. You can follow any responses to this entry through the RSS 2.0 feed. Both comments and pings are currently closed.